Omega 3 - The disease killer! 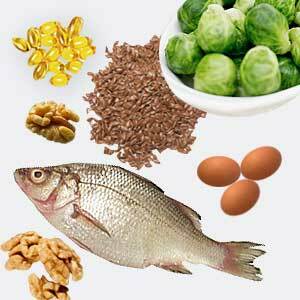 Omega 3 consists of the healthy unsaturated fatty acids. By eating a lot of the important Omega 3 you could avoid many diseases. Studies have shown that omega-3 fatty acids may reduce the risk for mortality from cardiovascular disease. Furthermore, it has been said to prevent cancer and Alzheimer’s disease as well as provide relief in inflammatory conditions like arthritis, cystitis and prostatitis. It has also been discovered that these fats reduces inflammation throughout the body and is also good for the cure of acne and other skin problems. Omega 3 has been used in treatment of depression and anxiety and prevention of birth defects and miscarriages. Start a new habit by eating more of these products, all rich in Omega 3, in order to prevent the diseases mentioned above.